from the blue chair: WIP Wednesday--Defining my style. I've been thinking a lot recently about my style as a quilter. I've been considering what I truly love about quilting and which quilt styles are "me". This thought process started in relation to time. I don't seem to have enough of it, but there are so many things I want to create. I am tempted by patterns, swaps, quilt-alongs, new fabrics, etc. I want to do them all, but I've been wondering do I really love them all? Do I honestly want to spend my available time making all of the amazing things there are out there? It's become very evident to me that I need to start focusing more on those projects I really love. The App Quilt is on the blue chair as I type waiting for a binding. I finished piecing and quilting it this past week. I was so motivated to create this project because I loved the little drawing from my daughter on which it is based. I would consider this particular quilt my style, but I still can't verbalize exactly why. The Vintage Quilt Revival Sew-Along sucked me in despite the fact that I'm aware I don't enjoy samplers. I tried the Farmer's Wife a couple of years and was done after about 12 blocks. I pushed through and made enough for a baby quilt which I finished and eventually sold. Over the weekend I hit that same point with these blocks. I wasn't loving it. I completed 10 of the 20 blocks and pieced nine of them into a baby quilt again. This quilt is now basted and ready for quilting. I love the backing so much. It's one of my favorite fabrics with colors that dictated the fabrics I used for the blocks. I've realized that sometimes it's just not worth pushing through on a project when I don't love it. I will finish it up into a baby quilt and move on. This final project is up on the design wall currently. I used a May Chappell pattern from our Sew South swag bag to create this star. I'm making this into a baby quilt for a friend. I simply adored the fabric when I purchased it and convinced myself that I'd find the right project for it. This fabric certainly isn't my normal style, but I broke down anyway. I love the star design, but am still undecided on the overall project. I think I'll love it more as it progresses, and I sew it all together. I am reminded with this project that I also don't enjoy HST projects. All that trimming kills me and takes the fun away. I tried last night to explain my quilting style to a few people who didn't know I am a quilter. I struggled finding the right way to describe some of the craziness I create. I keep thinking that after all the quilts I've made I should know how to actually define my style. What do I truly enjoy? What are my favorite fabrics? What are my favorite types of designs? The problem is I still feel way too mixed up. I was reading the Mixed Up Chameleon to my kids the other day and realized I felt a bit like that little chameleon. Several of my favorite quilters have amazing and distinctive styles. I, on the other hand, keep trying new things to rule out the ones I don't love. Maybe by the time I'm 85 I will decide and accurately articulate what my quilting style is. Until then, I suppose it's more trial and error. How do you define your quilting style? I think it's sometimes easier for other people to recognise your style than you yourself - at least that's how I feel. People sometimes say to me that a particular project is very much in my style and I wonder exactly what they mean - or what makes it so much "me" than other things I've made. I still don't know! I don't know that I have a style or maybe it is that I haven't tried enough different things to find it. I think you are wise to stop if you aren't loving it rather than devoting more time to it. We had a speaker at our guild a few months ago who was more of an artist (whatever that means). She said that she would try something and then keep with it for five years or so until she had tried it in every way possible then move on to her next phase. All I could think was you would have to shoot me! There is no way I could do one "style" for that long. This was a great post! I've been thinking similarly lately. I think it's important to realize that our style can "change" with us over time, and that it's hard to put labels on creativity! You do what you love to do. That is your style. Perfect! I think finding one's style is a process. I find my style is slowly evolving over time. I love the journey and don't want to be locked in. Great post. Great post. You expressed my feelings and thoughts, I feel like I almost wrote this post myself, thank you. I think that styles and tastes and what you love changes overtime. I also think that trying to describe a person with just one or two words can't possibly englobe and give a good description of a person, their character or their many wonderful talents. Perhaps that person that comes out in the quilts that he or she makes shows only a little bit of what she/he feels inside and are becoming. The journey is the best part. When a good outcome comes, wonderful. When it doesn't come out, embrace and move on. Thanks for your thoughts. It's always a wonderful experience to find out more about ourselves! I agree, it's hard to define style. There are so many things that influence us - patterns, fabric, everything online that is out there all the time. I find myself not really moving far off of the path of who I am, and like you when I don't love something anymore, I lose motivation for working on it. One thing you do is finish the project! LOL I am usually stuck on "okay this is what size it is *supposed* to be, but I don't love it, so I'll just put it in a drawer." Finishing at a smaller size is a better idea. Style does change. What your style is now, might be different in a few years. Your story is so much like mine. I try lots of things, not just to define my style, but because they are either fun looking or everybody is doing it. Some I like, some not. I never finish something that isn't fun for me in some way. I also do not particularly like samplers. I think its a process of elimination - gradually eliminating the styles and fabrics and processes that you don't like helps you see more clearly what you enjoy. Can't agree with you more on the HST's !! I can so relate to this! I think you've expressed it well. My favourite of your work in this post is the first quilt, yet I've never made something with just solids. I love big simple designs yet I often find myself making little fussy blocks. This year my aim is to be fussy with color and prints and play more with squares and solids. 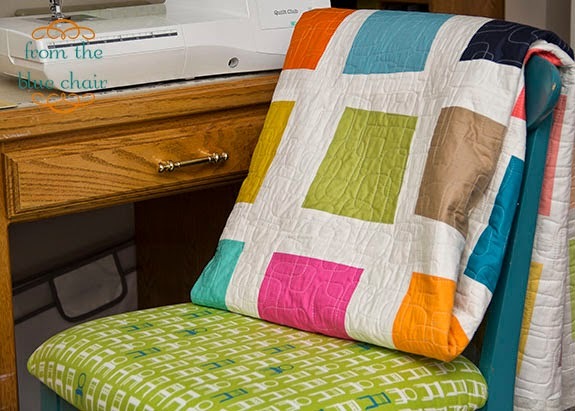 maybe your quilting style is "eclectic." maybe you don't need to be defined by a style. you're a quilter. i feel much the same way as you do in that i'm all over the place. but i don't really care what it's called by other people. I loved this post because I've been thinking about this as well. I have realized that the quilts I love to look at are not necessarily the ones I love to sew. I tend towards a traditional block repeated over and over so that new patterns can emerge, but that endless repetition sort of bores me. I never cared for sampler quilts but I am working on the Farmer's Wife and I am really loving it- just a few minutes of sewing yields a new block I can learn from, I set it aside and move onto the next. I also think it's an evolving thing. I am still a new quilter so once I get more experienced it could change. But I don't want to end up with a closet full of quilts that all look the same! 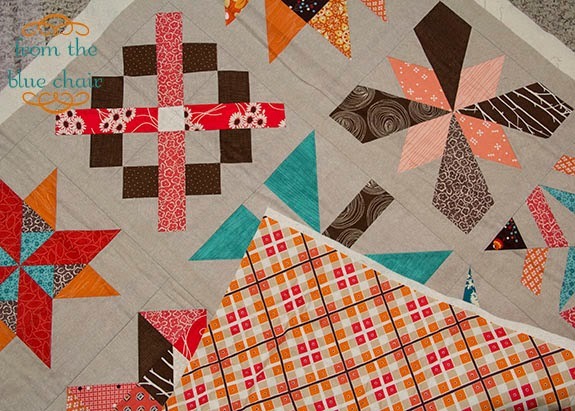 There are well known quilt designers out there and all of their quilts look too similar for me- what's the point of that? In the end, do what you enjoy. Don't stress about trying to label it- stress about trying to DO it! I feel this way sometimes. Especially when I see someone like Rita who has such a distinct obvious style. But then she also pushes her boundaries sometimes and tries something she's not totally in love with. So maybe it's ok to experiment and try different things. Maybe the key is to allow yourself to let go of the projects that don't have you itching to get to the studio. Yes, style is confusing for me also and I like the comment about it being a process of elimination. I was happy to see you, i.e. someone besides me, say that you are not fond of sampler quilts. Whew. I thought I was the only one! Lots to ponder here, thanks for sharing. Boy I feel like these could have been my words...I struggle to find/see/feel my style too! You certainly aren't alone. Many of us struggle to define our style, especially me. Thanks for the post. That's funny--I think you have a very distinctive style! I can usually recognize a Kati quilt when I see it. I've been thinking about this lately too. One of the tips I read on a blog (that I can't remember) was that using pinterest boards can help you narrow down your style. Either color/mood boards, or even pinning all the things you've made into one place. I'm curious to take the time to try this myself! That said, i do think style can change. And - there are times when I make things for others and I try to capture their 'style'. So it's important to be fluid! I think everyone struggles with finding their style regardless of whatever creative outlet they pursue. 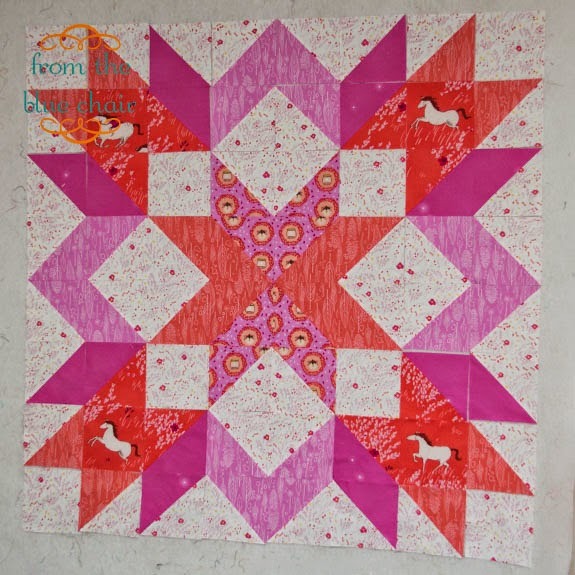 Looking over your completed quilts page though I would say you definitely lean towards the modern end of the spectrum. You have some traditional elements in there, but even the majority of those are done w/ a modern flair. You definitely favor pointy designs (triangles, chevrons, & diamonds) over softer, more curvy lines. I found quite a bit of improvisational looking strip & wonky block quilting in there too. I have found the more I try new things, as you mentioned doing, the more I realize what I do & don't like. My modern, minimalistic style has grown out of that. I love quilts & sewing, but I do not like "fussy" cutting & sewing. I try to find ways to make a big visual impact w/ as little of that as possible. I'm the same way when I scrapbook too. We all go through this thought process as we grow into our own style. It's a confusing time when it happens to you; where you feel most comfortable is where you should be. There's a lot of pressure out there... don't succumb to it just to please your audience. It has to feel right for YOU! I too get suckered into fabric that I like in the abstract, but really doesn't fit into anything I would choose to make, what is with that?! I too struggle with this issue. If u could call it an issue. I have been asked what my style is too and I find it easier to say what I am not sometimes. I don't use civil war fabrics, I don't do intricate work etc, or what I LOVE which is bright cheery fabrics, I LOVE 30's etc. sometimes it's just hard to define the style. One of my favorite things to make is something I can't visualize and that's weird to me. I love making string quilts, I love making scrappy trip alongs ( LOVE them) I think because the unraveling of it is a surprise! I love using scraps to make something wonderful but that's not a style. Ugh!! So I do what u do , I try new stuff (after all the scrappy trip along was an impulsive choice after seeing all the bloggers wonderful ones). I guess I have to remember to let myself try new things here and there and keep trying to define my style. When I look at my stash I know that I like vintage modern and happy bright colors but putting all together can elude me . I guess it's more than just me that wonders about my style and there's comfort in numbers at least. I was having these same thoughts early this year. I put this down to help me think my way through it: "In my first year of art school, Professor Julie Schneider said to me with her clever smile, "If you think you know your style now, you don't. You have to wait until the end to figure it out." The end? The end of what? The semester? Art school? Life? Since then, I've taken that to mean, don't let your style define what you create. Instead, let what you create define your style. Then you can look back at any stage, and confidently say, that your output is genuinely you." Defining your style could actually be limiting in some ways if you're not careful. After reading Quilting Happiness, (a book I would recommend) I found myself contemplating my style and what makes me happy about quilting. While there are certain things that define my style, it is an ongoing evolution at the same time. So I am trying to concentrate on doing what I love. Doing what I feel inspired to make regardless of whether it fits my preconceived notion of my style or any other label. Bottom line, do what you love and don't worry about whether it's your style. If you love it it will be you . . . a wonderful expression of where you are at that moment in time. The next week it might look completely different and that's ok too. Oh yes, trying to find your "voice". I've followed your blog since I first saw "shattered" in a magazine. I went home and created one in a similar style, and have since gone on to create a second one in a different color palette. Your style is evident. I think its hard to abandon certain things because we want to do it all, but in then end I think our true passion always comes through. I admire your sampler efforts. I wouldn't even bother... as that type of quilting never inspired me. Whatever you do, keep doing it! Your work is amazing and inspirational and thanks for sharing it! This post really spoke to me. I'm struggling to find my style too. I love many different things and like to try just about everything I see. I have so many projects on my "want-to-do" list but wonder why I'm choosing things that are so different. On one hand I admire a vintage style quilt with 1930's prints and another hand admire very modern styles with bold colors and wonky shapes. I wish I could narrow it down too. I don't think it is necessary to define it, just make what speaks to you, and remember it is all supposed to be fun. I think your "Style" changes as you go along. Over the years my quilts have become much brighter and I realise that I love Scrap Quilts, both to make and to look at. Re trimming HSTs. Take a look at Bonnie Hunter's blog, Quiltville, as she uses HSTs all the time and makes them so accurately she never needs to trim. She has a Tips and Hints heading and I am sure you will find that interesting. I'll start by saying that I feel like the "modern quilting" definitions are a bit prescriptive for my taste. However, after thinking about it more I think the problem is the term is a bit overloaded. I consider myself a modern quilter. By that I mean I use modern techniques and my quilts are inspired by modern life. Sometimes I make quilts that are more "traditional" style, sometimes more "modern" style. However, I don't /really/ like those descriptors for my quilts because as with most art movements, we won't really know where the boundaries are until it's sorted through afterwards. (And even still there will be debates between quilting historians about where the edges are.) Which is why the modern quilting rules feel so very prescriptive to me...they're trying to define a style WHILE we live it. As for your own personal style, as others have said, it will evolve over time. You experiment and see what you like and don't like. As you start to develop a better understanding of what you do like, you will sometimes go through phases as you experiment more deeply with different things. As many others have commented, this has been on my mind as well. I definitely agree that someone's style is "fluid" and changes over time. I have seen my change over the 15+ years I have been quilting. I am no longer the same person I was in my 40s and my quilting style is also distinctly different from when I started quilting. It has been interesting to read about the things that personally are not "you"--samplers, etc. I tend to have a real struggle with improv blocks. I appreciate then when I see them made by someone else. I love YOUR quilts. But I don't think I would ever be able to make one myself. I like symmetry, and lately I wonder why I even bother buying prints because what I really want to sew with is solids. I realize that I'm more of an "in the box" type of person, and no matter how hard I try to WANT to change that, it's just not in my nature really. This year I have been conscientiously trying to stay away from quilt-alongs, BOMs, etc. and focus on turning some of my ideas into reality. It's hard to do that when I'm busy following the herd in making the latest quilt-along, no matter how much I like it.